When Deb Welch first stepped into The Homestead, a bar at the corner 19th and Folsom, it was love at first sight. It was 1996, and a Japanese blues band was playing a tune in the corner. Welch has since become the manager of The Homestead, and on Saturday the historic bar is turning 115 years old. 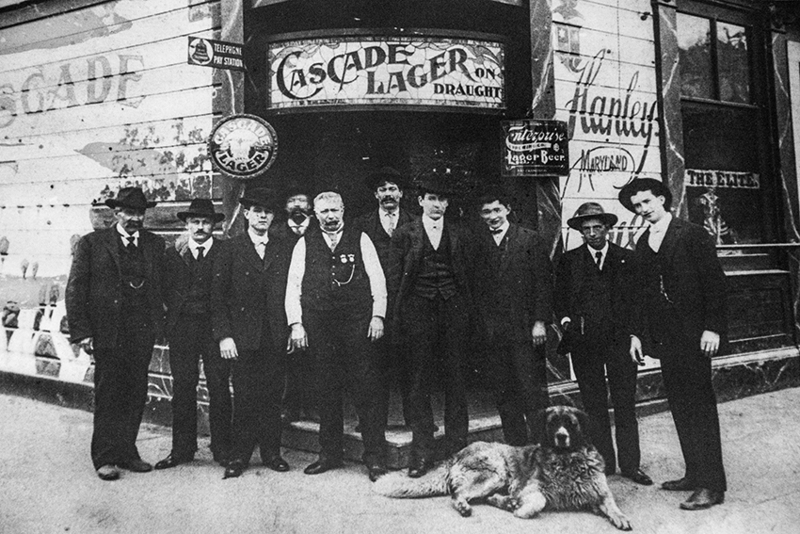 In fact, Homestead’s long history has become a sort of obsession for Welch, who, over the years, has taken a deep dive into the bar’s past, digging up tales of Prohibition-Era subterfuge, hidden brothels — and even murder. As the United States entered the Prohibition Era, Welch said, Homestead — which was then called Old Homestead — would serve a merchant lunches of soda and sandwiches, and alcohol in secret. 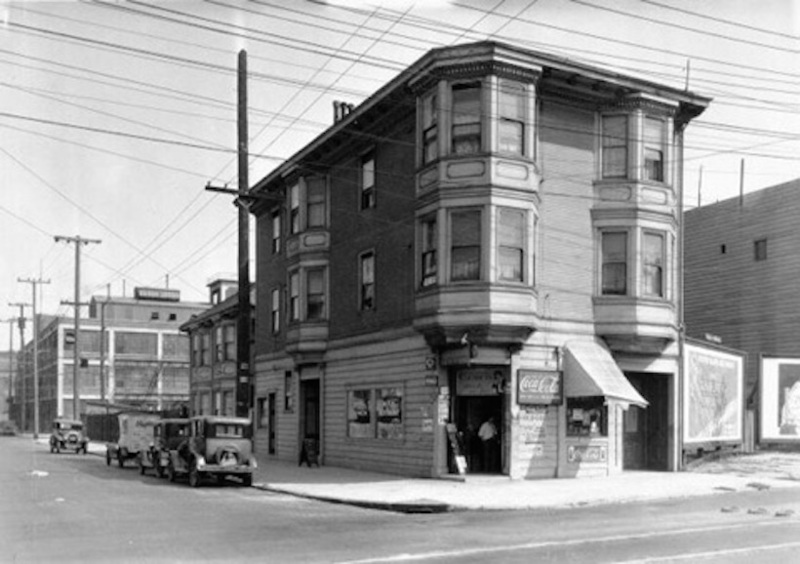 The “Old Homestead” on the corner of 19th and Folsom, September 1930, during Prohibition. Photo courtesy of Deb Welch. At that time, a brothel operated in the bar’s upstairs, according to rumors Welch has heard. It was run by a woman named Fanny Pearl, a well-known madam who also owned the building. Pearl rented the downstairs bar out to a man named Daniel Wolffe during Prohibition. He sold it in 1923, but returned seven years later, robbed the bar and bludgeoned the owner in the back with a sledgehammer. “He was convicted of counterfeiting, bootlegging and car theft, but he was not convicted of any of the four murders he was charged with,” Welch said. 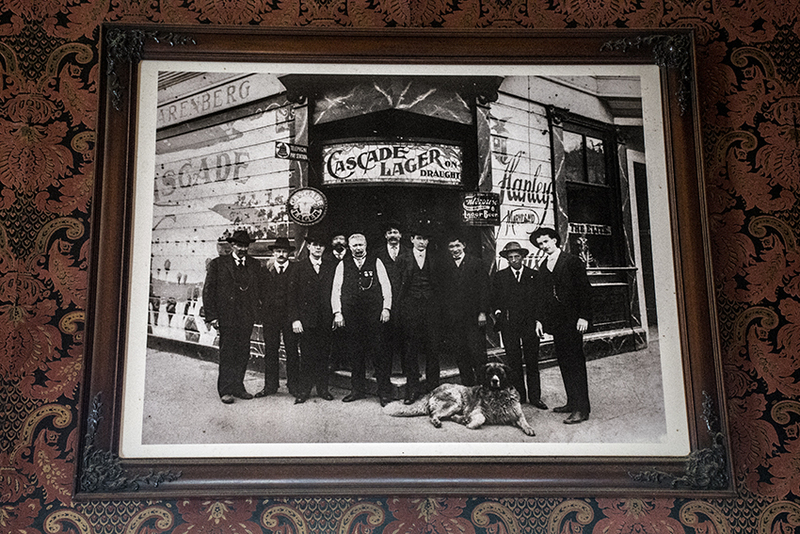 Jack Ryan’s family bought the bar in 1933 and ran it for five decades before selling it to a man named “Buck” in 1986, who unofficially renamed it Hussong’s. He would host “lingerie shows,” in which women would walk around in lingerie and sell the women’s underwear to men for their girlfriends and wives. “For a neighborhood dive bar, lingerie shows weren’t uncommon” at that time, Welch said. Buck then sold the bar to Titch and Danielle Nelson in 1996. They renamed the bar Donnington Park, and Danielle Nelson was known to play the spoons off of bar patrons. “They were a very animated couple,” Welch said. 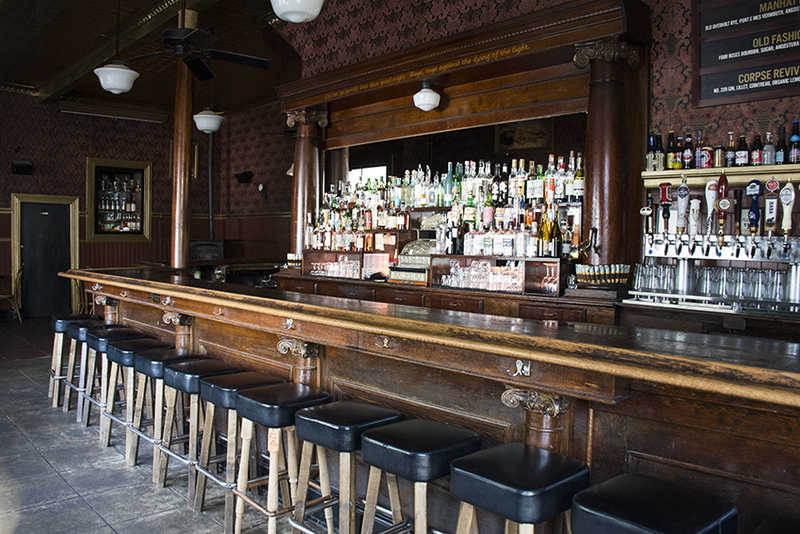 In 2005, the Nelsons sold the bar to Raub Shapiro and Rio Hackford, who restored its old name, Homestead. It’s been in their hands ever since, and Welch has managed it since the start of their ownership. Welch said that since she discovered the bar some 20 years ago, the clientele has changed. “There used to be a lot of artists and musicians in the neighborhood, and we’ve always synced really well with that part of the community,” she said. But realizing that a community is ever-changing, she’s always been excited to see new regulars, just like herself two decades ago. Homestead will celebrate its anniversary with music and special cocktails on Saturday, Nov. 11. Music by DJ Chas Gaudi starts at 9 p.m.
For a while, the name of the bar was “Dylan’s”, Welsh themed/owned (? ), with large pictures of Dylan Thomas and, I’m pretty sure, Richard Burton; after the Donnington Park years, which started before 1996, if I remember correctly. Eddie – thanks for adding this omission to the story. I got to know the bar in its Dylan’s incarnation, including its annual Dylan Thomas birthday celebration with free shots of Old Grandad Whiskey. When I moved to the Mission in 1999 it was Dylan’s, and it had an amazing painting above the bar (as I remember) that looked like the Last Supper, except all the characters in it were famous Welsh people, including Dylan Thomas of course. Had a fantastic jukebox with Welsh musicians like Tom Jones and Small Faces. I spent many a doggy Mission night drinking Guinness by the fireplace and I miss it, sorry but Homestead just isn’t the same. Yes, I definitely remember it as Dylan’s also – circa 1999. Why was this not mentioned in an article about the bar’s history? Due to the Dylan’s omission, now I don’t believe anyhing in this article.